Heroes and heroines are everywhere. They are part of every community, every generation and every great endeavor. They made a difference, their lives mattered. Their story demands to be told, their heroism remembered and honored. And so we honor them in our public places, with civic memorials that celebrate their lives. We inscribe their names and deeds in granite, so that their sacrifices and heroism will be remembered for all time. Over the years, we have erected countless civic memorials, all of which, even the oldest, remain to this day. The longevity of our civic memorials is a tribute to those which they honor, standing strong through future generations to come. 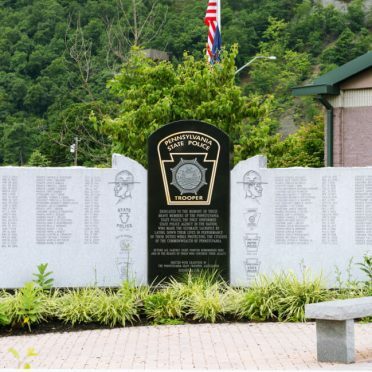 Let Rock of Ages bring the expert resources necessary to assist you with the design, fabrication and installation of a memorial that beautifully commemorates its subject and message. Any group or organization wishing to build a memorial has a lot of decisions to make. From design to dedication, Rock of Ages can help. David Fournier is a 35-year stonework veteran. He began his career as a monument drafting apprentice, going on to work on mausoleums and architectural pieces, before becoming a member of the Rock of Ages’ Large Project and Special Features Design Department.